Hertzsprung-Russell diagram with masses Today I will talk about stars much more massive than the Sun. These are stars on the upper main sequence. 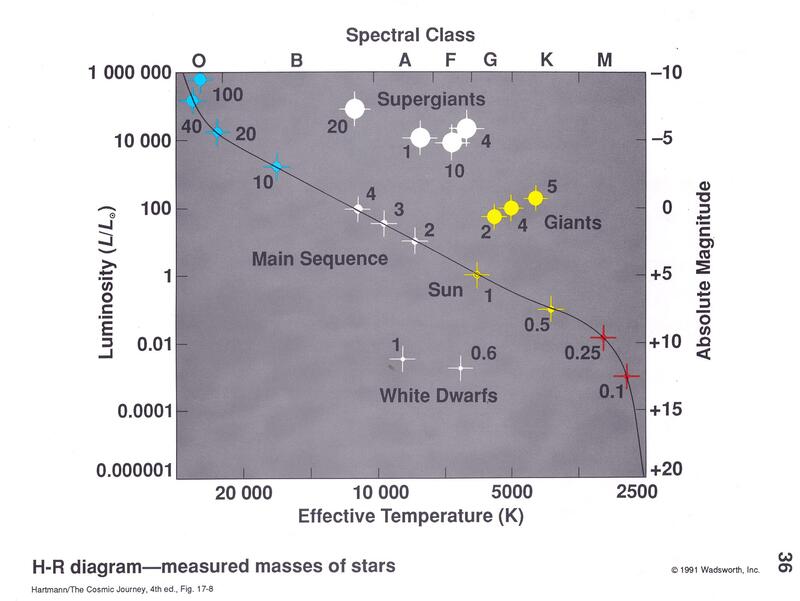 In the HR diagram, these stars are in the upper left corner- they have high surface temperatures (O and B spectral types) and very high luminosities (power) - thousands to hundreds of thousands of times the luminosity of the Sun. Another drawing of "onion skin" shells These show the "onion skin" structure of the core of a massive star just before it explodes as a supernova. This core is in the center a very large star called a red supergiant. The more massive a star, the shorter its lifetime. This sounds backward (shouldn't bigger stars have more fuel and thus last longer? 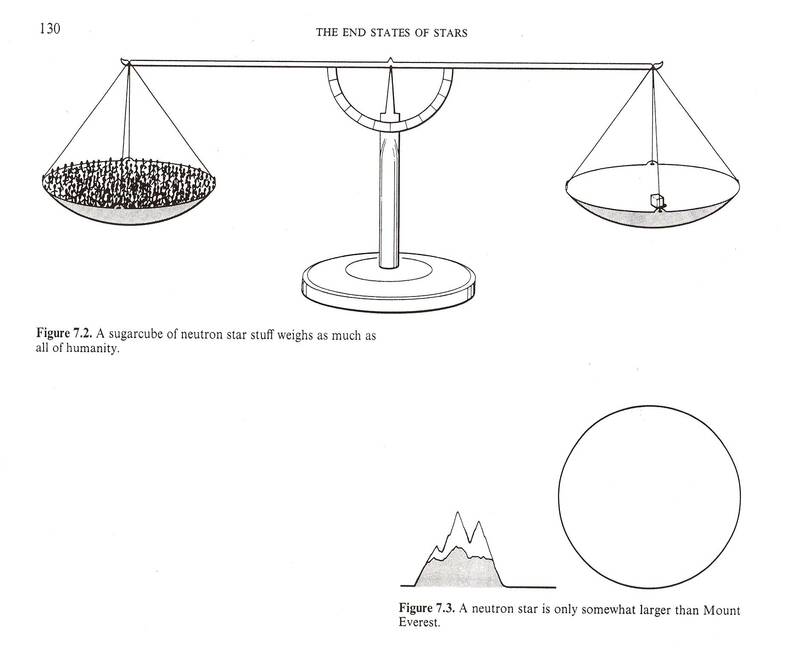 ), but it makes perfect sense in the context of the continual struggle between gravity and pressure in all stars. The more mass a star has, the stronger its gravity, and the hotter its core. The rate of fusion (how fast the star burns its hydrogen fuel) depends very sensitively on temperature- the higher the temperature, the faster the fuel burns. So a massive star has a shorter lifetime than a lower mass star because its core temperature is higher and its fuel burning rate is higher. The Sun will last as a main sequence star, burning hydrogen into helium in its core in a nice stable way, for about 10 billion years (thats billion with a "b"). Stars that are massive enough to blow up as supernova (8 to 100 times mass of Sun) will live only a few million years (thats million with an "m"). The stages of a stars life after the main sequence phase, where the star is burning H in a shell and perhaps heavier elements in its core (red giant or red supergiant phases) lasts only a fraction as long as the main sequence lifetime of the star. Typically a star will spend only about 1/10 as long in these phases as in the main sequence phase of its life. Massive stars (more than 8 or so times mass of Sun) are hot enough in their cores to "cook" elements that are heavier and heavier. 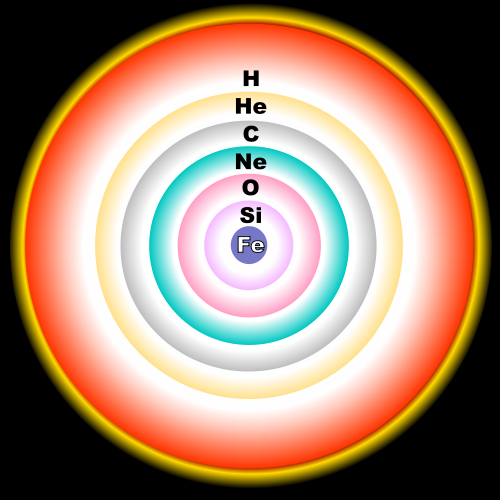 The star's core eventually looks like an "onion skin" of concentric shells of heavier and heavier elements towards the center- in the middle is a ball of iron (chemical symbol= Fe), surrounded by a layer of silicon (Si) and sulfur (S), which is surrounded by lighter elements (such as oxygen (O), neon (Ne) and magnesium (Mg), which is surrounded by a layer of carbon (C), and oxygen, and then helium (He) and hydrogen (H). This core is surrounded by a large shell of hydrogen and helium which has not undergone fusion. The fusion process stops with iron- iron cannot fuse, no matter how hot it gets. Once the iron core forms, the core will "implode", and the rest of the star will fall onto the core and "bounce", resulting a burst of energy that rips the star apart in a supernova explosion. The central ball of iron is compressed so violently that the electrons and protons are pushed together to form neutrons. This process yields a burst of neutrinos, the "ghost" particles mentioned in one of the DVDs. Normally, neutrinos don't interact much with normal matter, but in the supernova the number of neutrinos is so enormous that their energy also helps to explode the star. Much of the the heavy element material is thrown away from the star to form a supernova remnant, which continues to expand and mix with the other gas around the star. The iron core becomes a neutron star or a black hole. This type of supernova is called a "core collapse" supernova as it involves the collapse of a stellar core of a massive star. Supernova in a galaxy far, far away In our own galaxy, the Milky Way, the last supernova we know of was several hundred years ago. However, we see supernova in other galaxies on a regular basis. (A galaxy is a collection of billions of stars- we will talk about galaxies later, of course.) This supernova, photographed along with its host galaxy in 1994, was for a brief time almost as bright as the entire galaxy of billions of stars. It faded from view after a few weeks as the energy of the explosion dispersed. An object called the Crab Nebula is one of the most important objects in the sky and is the "Rosetta Stone" of core collapse supernova. 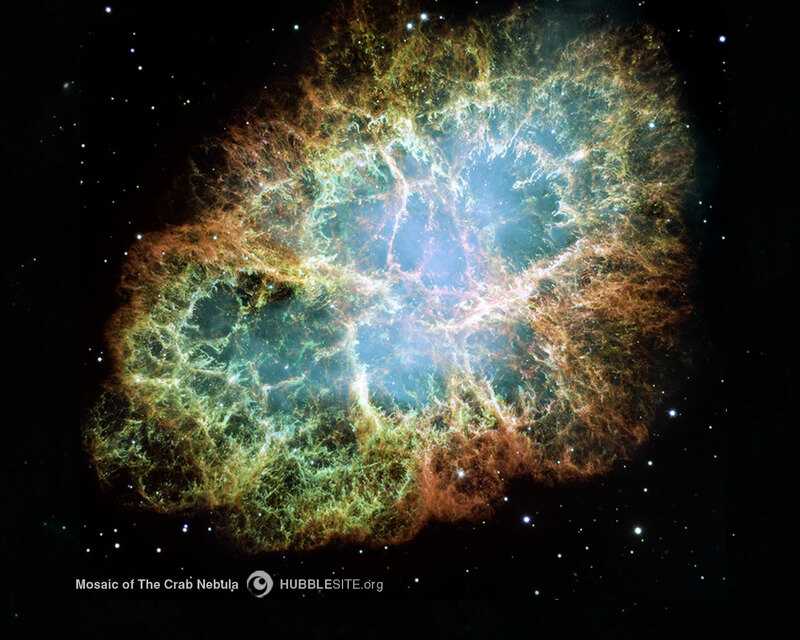 The Crab is a supernova remnant- the remains of a massive star which was observed to explode about 1000 years ago. When we look at the spot in the sky where Chinese records show that the exploding star was located, we see an expanding cloud of debris, enriched in heavy elements , and a strange object called a pulsar in the middle! 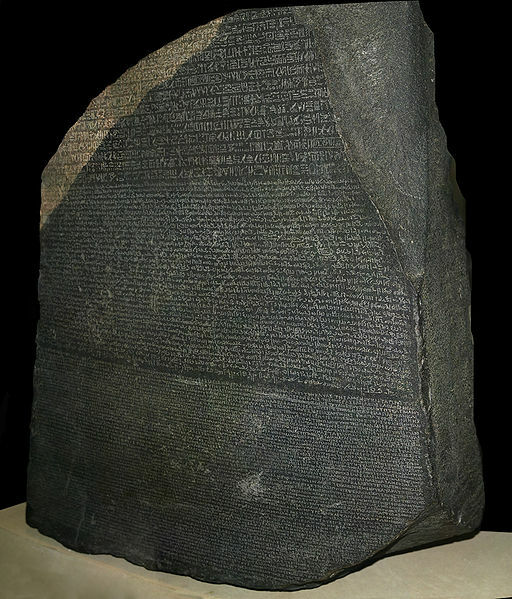 Rosetta Stone A stone tablet bearing a text in Greek and Egyptian hieroglyphics that was key to understanding ancient Egyptian writings. Crab appearance in 1054AD. The top image is an artists conception of what the sky might have looked like on July 5, 1054. A "new star" appears, rivaling the Moon in brightness. This event was well-documented by Chinese astronomers of the time. 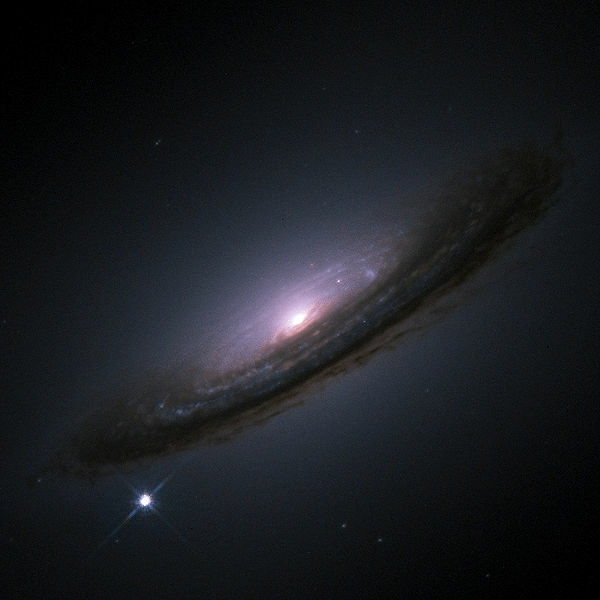 The "new star" was visible in the daytime for weeks, then visible in the night sky for many months before finally fading from naked-eye visibility. 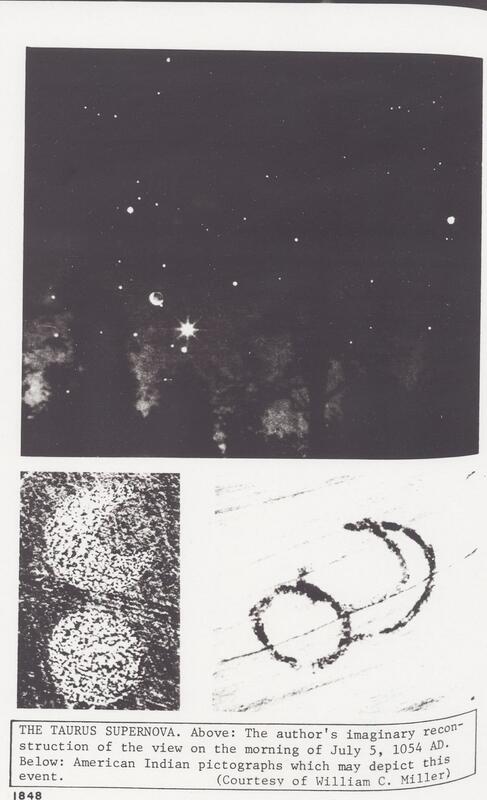 The bottom two images (sorry for poor reproduction) are Native American pictographs that may depict this same event. Perhaps surprisingly, historians have not found European records of this event. (The explosion occurred in the time period sometimes called the "Dark Ages" in Europe. For whatever reasons - hey, I'm no historian - there is a marked decline in European historical and cultural records of all kinds compared to periods both before and after the period from about the 5th to 15th centuries. So it may not be surprising that no European records of the 1054 supernova have been found). Crab Nebula pulsar These are two "movie frame" views of the Crab Nebula pulsar. The top half shows a visible light image of the central region of the Crab Nebula. The individual images are separated in time by only a few thousanths of a second. Note that one object gets bright and dim as you go from frame to frame. The graph shows the brightness of the source as a function of time - the whole graph covers only about 1/30 of a second (ms= millisecond. 1 ms = 1/1000 of a second). 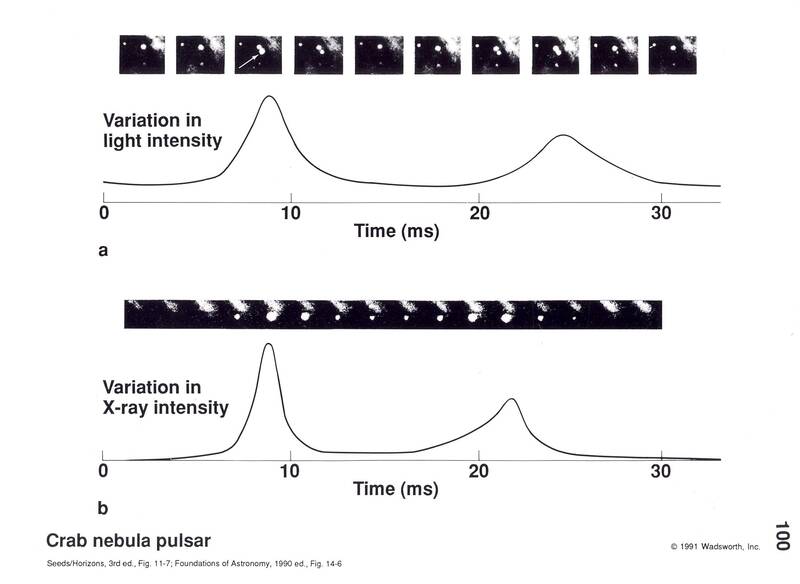 Thus the Crab pulsar appears to blink on and off some 30 times a second! The bottom half shows the same thing, but in x-rays instead of visible light. Pulsar (artists conception) The "blinking" object in the Crab is a pulsar- a rotating neutron star. It emits EMR in two beams from its magnetic poles. 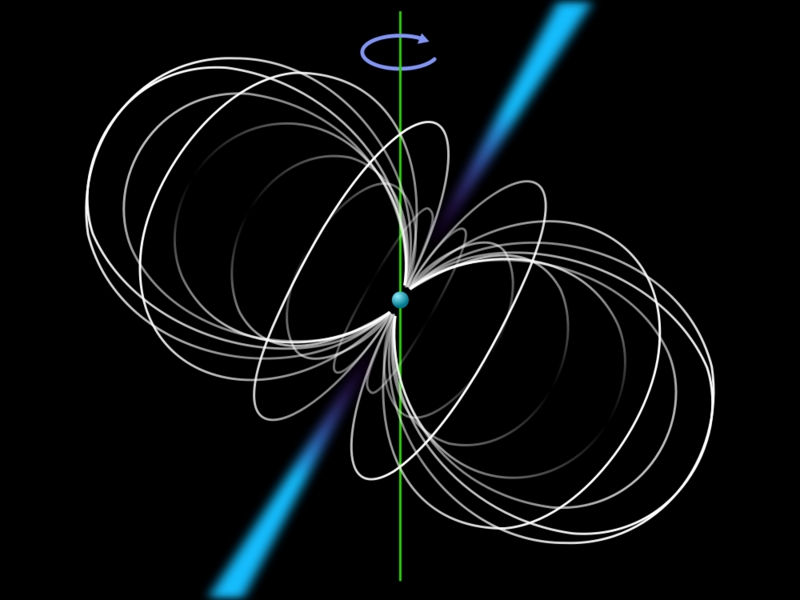 (Here in this vastly simplified artists imagination of a pulsar, the blue cones are the beams of EMR emitted along the magnetic axes of the pulsar. The white lines are the magnetic field of the pulsar). As the neutron star rotates (30 times each second in the case of the Crab pulsar!) we see a pulse of EMR whenever the beam sweeps by us (like a lighthouse). Fantastic density of neutron star matter. A piece of a neutron star as big as a sugar cube would weigh more than all the humans on the Earth put together! How can anything be so fantastically dense? 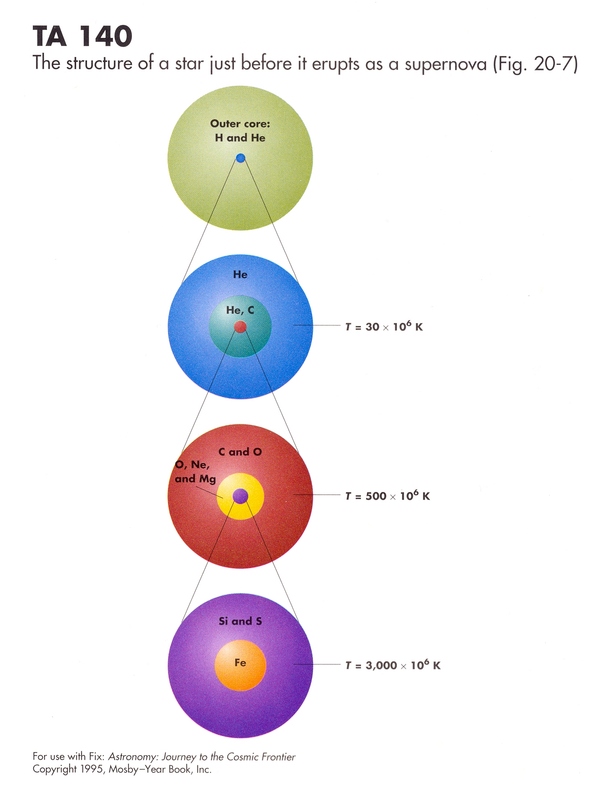 Ordinary atoms are mostly empty space- the nucleus in an ordinary atom is just a little speck compared to the orbits of the electrons that define the "size" of the atom- thus atoms are mostly empty space. In a neutron star, the fantastic pressures in a supernova explosion have forced the electrons and protons to combine, forming neutrons. Neutrons (having no electric charge) can be packed together much tighter than normal atoms. So, in simplest terms, the neutron star is so dense because all the empty space, which constitutes the vast majority of normal matter, has been squeezed out of the material by the fantastic pressures of the supernova explosion. 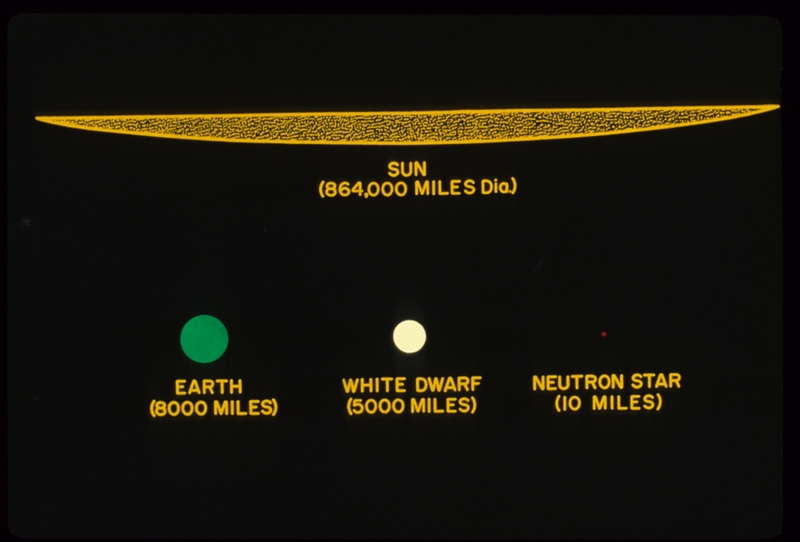 A neutron star is about the same size as a large mountain on Earth, but has the mass of several Suns- or about a million times the mass of the entire Earth! !